An autoimmune disorder is a condition that occurs when the immune system mistakenly attacks and destroys healthy body tissue. There are more than 80 different types of autoimmune disorders. Normally the immune system's army of white blood cells helps protect the body from harmful substances, called antigens. Examples of antigens include bacteria, viruses, toxins, cancer cells, and blood or tissues from another person or species. The immune system produces antibodies that destroy these harmful substances. But in patients with an autoimmune disorder, the immune system can't tell the difference between healthy body tissue and antigens. The result is an immune response that destroys normal body tissues. This response is a hypersensitivity reaction similar to the response in allergies. In allergies, the immune system reacts to an external substance that it normally would ignore. With autoimmune disorders, the immune system reacts to normal body tissues. In auto immune disorders the body’s own immune power can not differentiate the healthy body tissue and foreign tissue. So any treatment target to relieve the symptoms will not cure the condition permanently. But Homeopathy helps hitting at the immunity level to modify the immune system to work in a normal way and thus prove helpful in auto immune diseases. In our Multicare homeopathy online treatment center peoples suffering from auto immune disorders have been benefitted using our advanced homeopathic treatment packages. 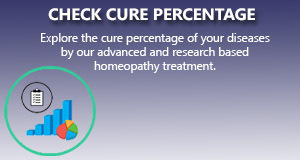 We apply the most scientific and research based homeopathy treatment package for auto immune disorders that gives a long standing cure to the ailment. I am facing patchy hair loss problem. The doctor told me that this alopecia areata an aouto imune disorder. Please suggest me the right homeopathic medicine. Sir , I have been suffering from apla syndromes last 3 year.. I went to SPGI (Lucknow) for it .but according to doctor no cure of this disease ... . He said that only treatment can do for reducing risk..... He advised me to take warfarin ... Aways ..... Sir pls tell me apla syndromes can be cure.